Yeah! It’s time for another slow cooker crock pot recipe! 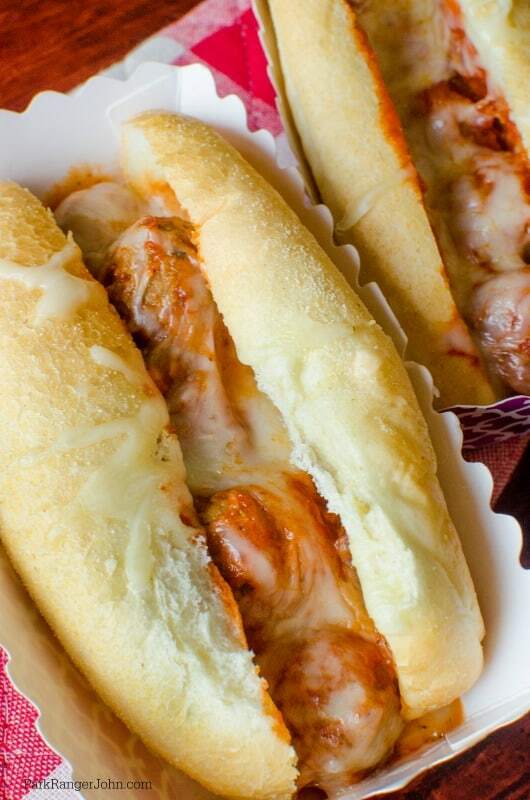 Today’s Slow Cooker Crock Pot Meatball Sub Recipe is so good! You could also add these to pasta if you really wanted to but I love having them as subs. This time of year it is so nice to come in the house and have dinner hot and ready! I love that this recipe barely takes any time to prep and have cooking in the slow cooker. It honestly maybe takes longer to get everything out of the fridge than it does to set up the entire recipe. 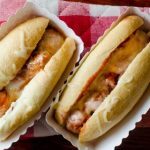 Easy Slow Cooker Crock Pot Meatball Subs sandwiches made with frozen meatballs! Great comfort food dinner for the entire family. One thing I love about crock pot meals is they are ready when I get home from work. Many days I am wiped out from working in the park and want/need a hearty filling dinner to fill me up. As a Park Ranger, my days include talking with park guests, maintaining park safety, working with chainsaws, clearing snow and so much more. Many days I am outside for the majority of the day which is amazing but can also wear a guy out. It is so nice coming home and opening the door to smelling dinner already cooked and ready to go! Do you have a slow cooker crock pot meal you love to make? I would love to hear about it. 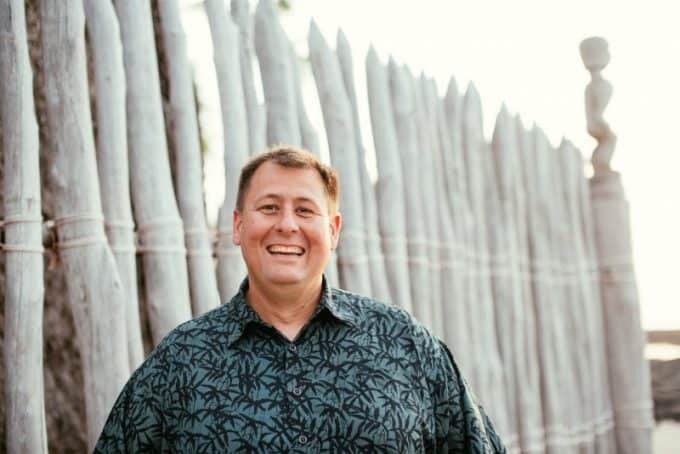 My wife Tammilee makes tons of slow cooker recipes on her site and I am trying to make more of them myself. They are so dang easy to make and I am not going to lie being able to use frozen meatballs and not have to make them from scratch is a total win!!! 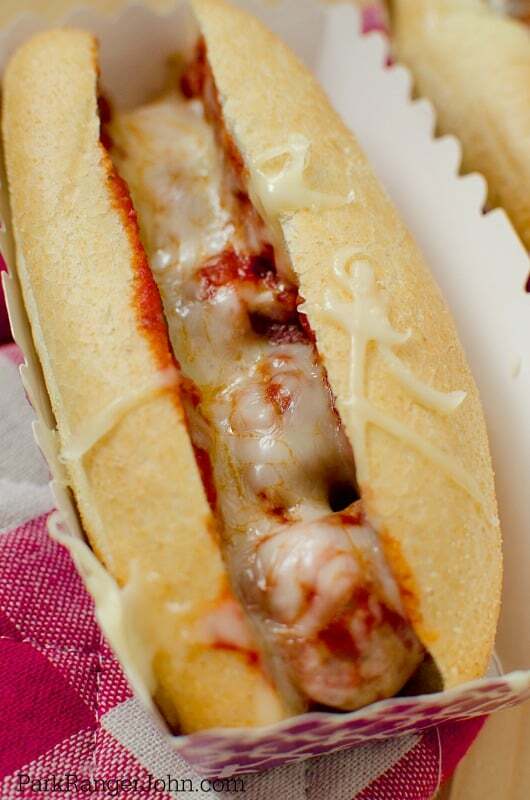 This Slow Cooker Meatball Sub recipe is also great for game day parties! Get this set up before the game and your guests can enjoy a sub anytime they want to. You get to actually enjoy the game and do not have to stress about running to check the stove top or oven. A total win-win! If you love slow cooker recipes check out my easy Crock Pot Beef Lasagna Recipe! It is so good and easy which I love! I also have a slow cooker sloppy joes recipe which is easy and so filling. Can you tell I am working the crock pot over as much as I can! 1. In the slow cooker bowl, add spaghetti sauce, onion, chili flakes, Italian seasoning and frozen meatballs. 6. Place in the microwave for 30 seconds to melt the cheese, or leave as is and let the heat from the meatballs slowly melt the cheese. In the slow cooker bowl, add spaghetti sauce, onion, chili flakes, Italian seasoning and frozen meatballs. Place in the microwave for 30 seconds to melt the cheese, or leave as is and let the heat from the meatballs slowly melt the cheese. 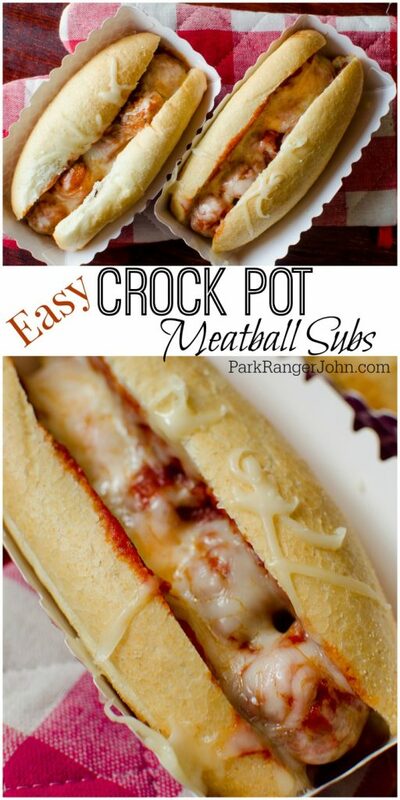 I never knew you could make them in the crock pot, I will definitely try this recipe. My father loves meatball subs.